See how we faced the challenge of repositioning the candies packaging design of a product beeing made since 1946. Primor is a company from Santa Catarina. It has been producing banana candies, purée and juices for more than 70 years. In fact, the banana candie is an icon of the brand. Successive generations have been consuming this delicious treat whose formula remains original. 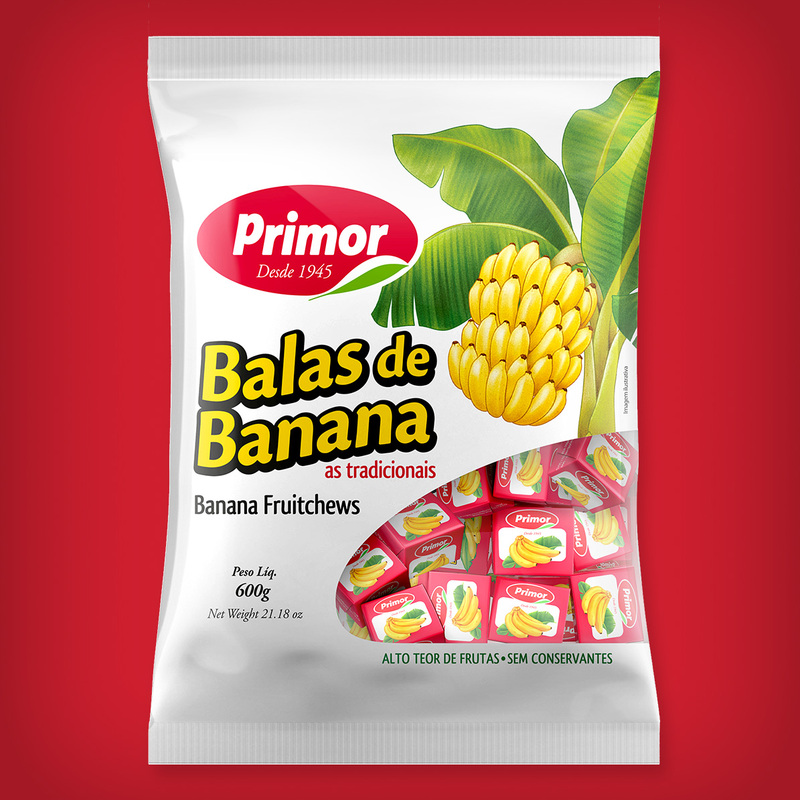 The challenge was to modernize banana candies packaging design without jeopardizing recognition from consumers. Rather, they should be able to easily identify the brand´s traditional banana candy. And moreover, they should perceive the change as something positive and stimulating. From this premise, we created the whole line of new products in different versions and sizes. There are candies of: banana, organic banana, banana with natural vanilla, banana with cinnamon, and banana with chocolate coating. It is important to note that package design has to be guided by parameters adequate for the product´s history. A product that is very familiar to the consumer cannot loose its character. However, it is important to know the right time to update a brand, adding more value to it. To ensure final results would be in accordance with our expectations, we monitored printing production.